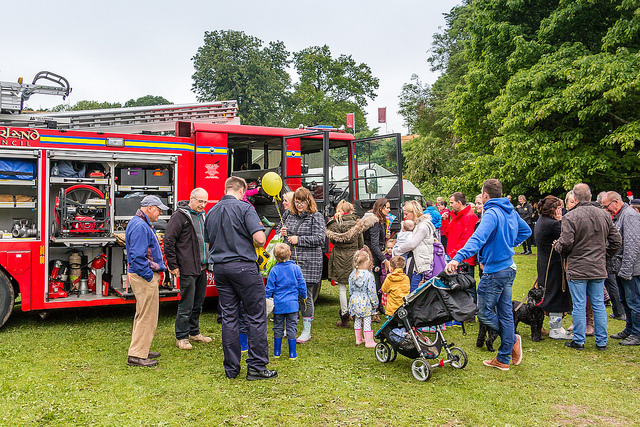 Even though the weather was awful about 2,500 people attended the annual event, this year it coincided with the Queen’s birthday celebrations. 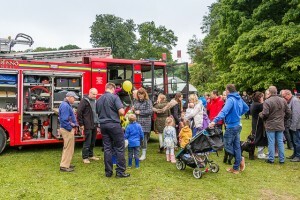 The “ fun day “event was arranged by the joint churches of Ponteland and is normally arranged for early June each year in Ponteland Park a setting in the middle of a village of the A696. The Ponteland Neighbourhood Plan Group took part in this event to raise its profile in the local community. In 2013 was the first time the group provided a small display of its work to a potential of 2,500 visitors, this year 2015 it has been estimated to be 3,000 could view a display showing areas of the neighbourhood plan including community aspirations reaching beyond the period of the Northumberland County Council Local Plan 2031. This year the group had ample space to provide a display on the emerging plan and a selection of interactive boards encouraging comments on the proposed community aspirations or projects. These are things that matter to the community but fall outside the remit of the group, as they are not planning issues.